HONG KONG, Jan 9, 2017 - (ACN Newswire) - Comba Telecom Systems Holdings Limited ("Comba Telecom" or "the Group," Hong Kong stock code: 2342), a global leading wireless solutions provider, has announced that during December 2016, Chairman Mr. Tony TL Fok, Vice Chairman and President Mr. Zhang Yue Jun, Group CFO Mr. Ken Chang and Special Assistant to the President Mr. Wu Jiang Cheng from the senior management team visited the Laos People's Democratic Republic ("Laos") and met with Mr. Thansamay Kommasith, the Lao Minister of Posts and Telecommunications. 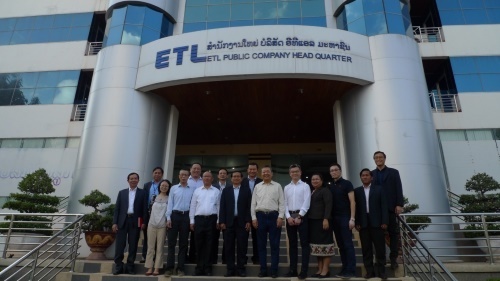 Previously, the Group has announced in September 2016 that it would acquire from the Government of Laos a 51% interest in ETL Public Company Ltd ("ETL"), a telecom operator. 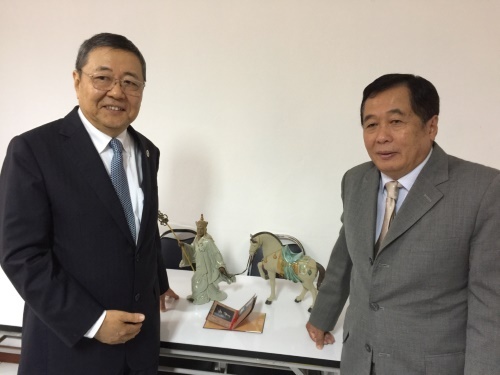 The purpose of the visit was to deepen the understanding in the relevant policies and guidance from the government of Laos, discuss the development plan and set up the new core management team of ETL. During the meeting, Mr. Thansamay Kommasith expressed high regards for the Group's investment in the ETL project and conveyed keen expectations on the future development. 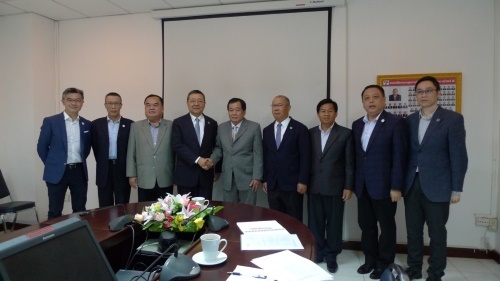 He also presented the latest developments and blueprint of the telecommunication industry in Laos. Mr. Fok introduced the business and product strengths of the Group, and revealed that the Group would apply its advanced networking technology to invest and promote advancement of ETL's network, thereby bringing benefits to the Lao people by providing high-quality, content-rich and cost-effective telecom services and achieving a win-win situation as its end. In addition, Mr. Zhang shared how the investment, building and optimization of the ETL network can enhance business models. Mr. Thansamay Kommasith and the Group also discussed and exchanged ideas on specific projects and government needs. The meeting lasted more than two hours and was concluded successfully with an exchange of souvenirs as a prelude to successful cooperation. After the meeting, the senior management team visited the headquarters of ETL and greeted and met its management team. They also visited the main departments and server rooms which enhanced their understanding of ETL's operations while building good relationships with the new management and laying foundations for cooperation in the future.